Trump Tower has been a swarm of activity in the last 3 months, and it’s triggered some sales and some angst over the staple of NYC — food deliveries. We’ve learned 5 apartments have been listed for sale and 3 apartments have been put up for lease this month alone. Realtors who rep units in the building tell us these numbers are high for a single month. Granted there are 238 units in the building, but 8 in one month is eyebrow-raising. Trump‘s rise to the presidency has been a mixed bag for residents. The positive … the building has enormous marquee value, and most realtors believe that makes it an even better investment over time. It’s also become super secure, with the help of Secret Service. But some residents are upset for several reasons. They say they get stopped by security all the time. And especially annoying … it’s an ordeal for guests who visit homeowners … the security process is intense. Worst of all, say some residents … New York is a delivery town, from food to dry cleaning. The delivery people get frisked and bags get opened. We’re told it sometimes takes 30 minutes for the items to make their way up. And some residents say the barricades outside the building are an eyesore, and it’s hard to walk anywhere around the building. Security has eased a little since Trump moved to D.C., but there’s still a heavy presence since Melania and Barron will be there full-time until June. Residents are hoping things get back to some sense of normalcy after that. One thing we’re hearing is universal … none of this has anything to do with politics. 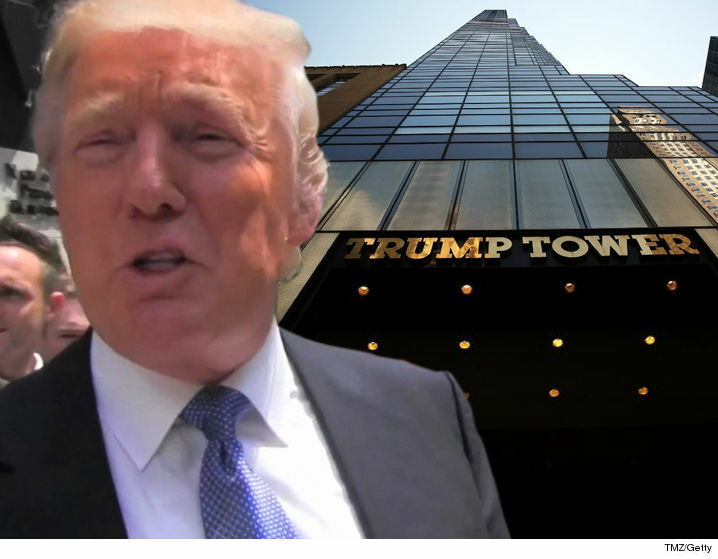 They knew Trump owned the building when they moved in, and for the most part they like him personally.